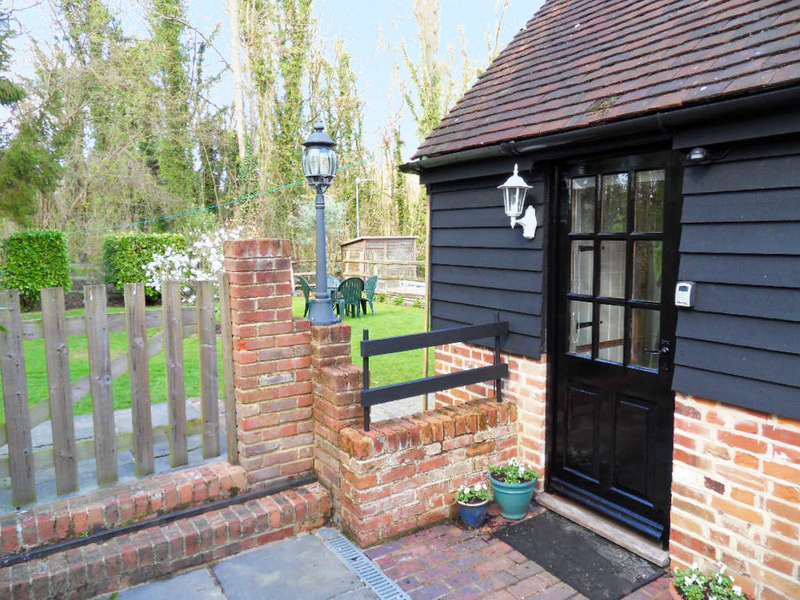 This delightful modern cottage blends well with the owners’ wonderful, Grade II listed, 16th Century house next door. 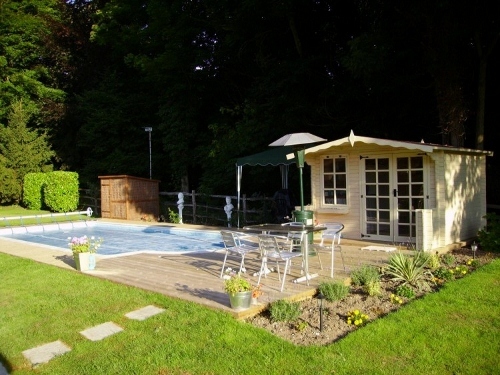 Primrose Cottage is surrounded by the woodlands of the neighbouring Belmont Estate. 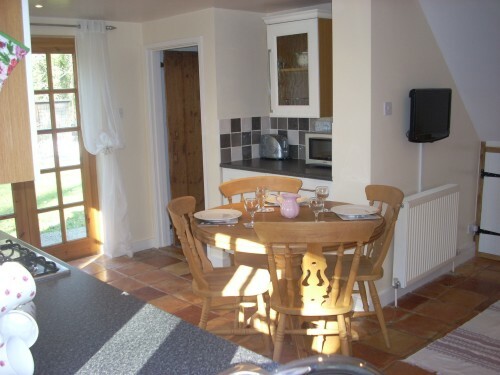 Great care has been taken in the finish and presentation of this property to ensure a high quality standard of facilities and comfort. 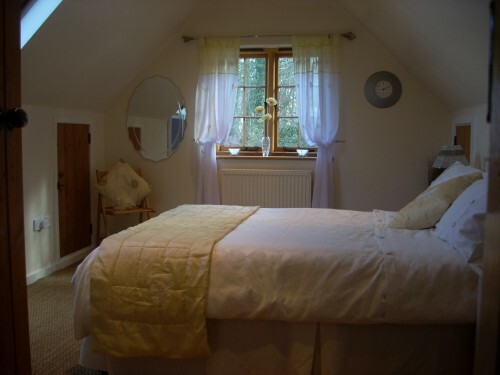 You can enjoy walks in the beautiful surrounding countryside or forests and the owners’ heated swimming pool is available from 26th May to 31st August. 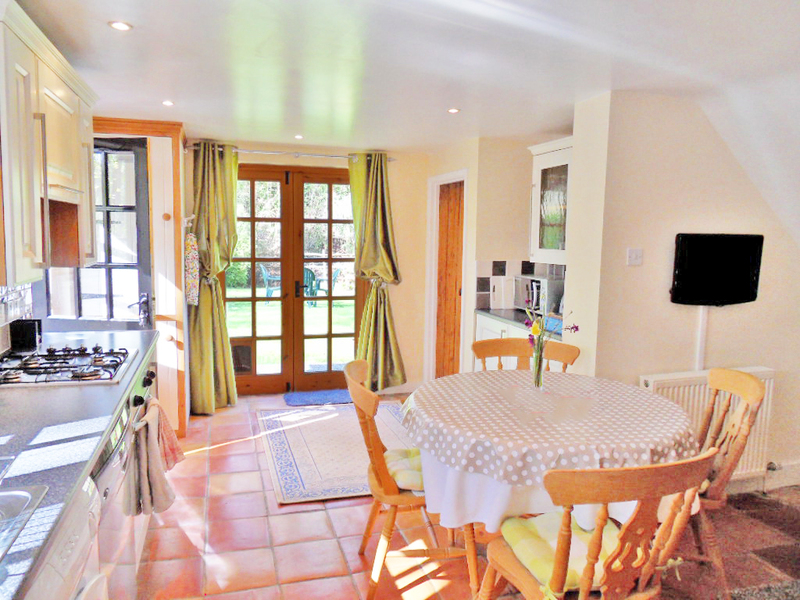 The shaker style kitchen is open plan to the good sized lounge and dining area with tiled floors. 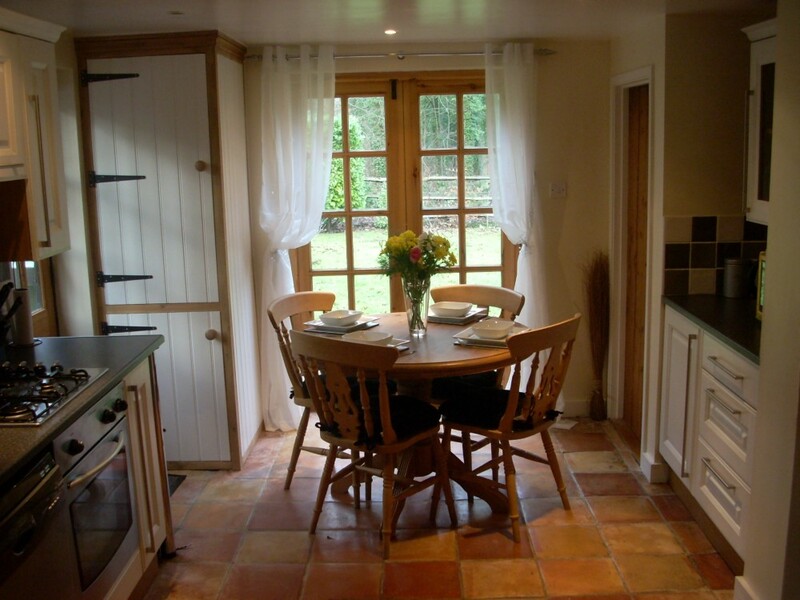 French doors lead out to the garden with outdoor table, chairs and BBQ. 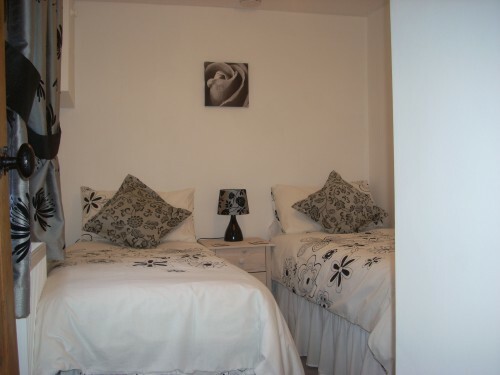 There is a ground floor twin bedroom with two single divan beds. 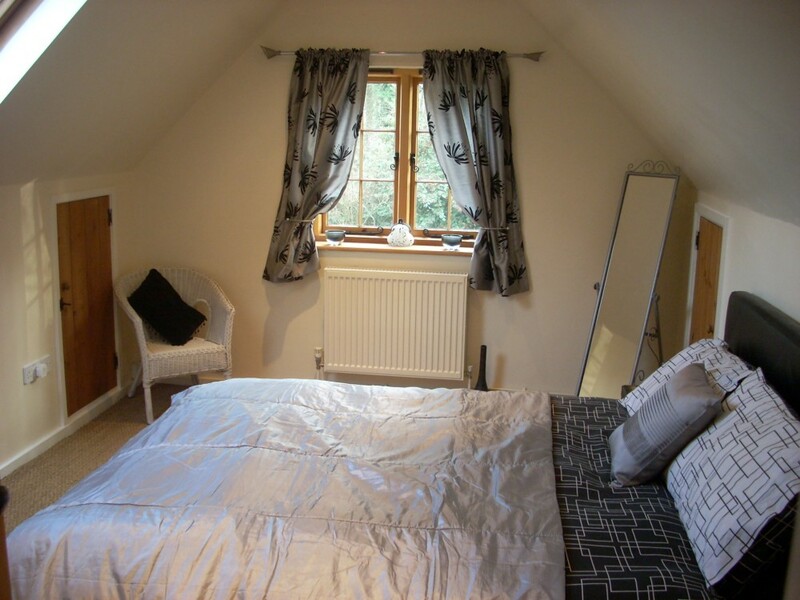 Upstairs offers a sizeable double bedroom including flat screen TV with space for a cot if required. 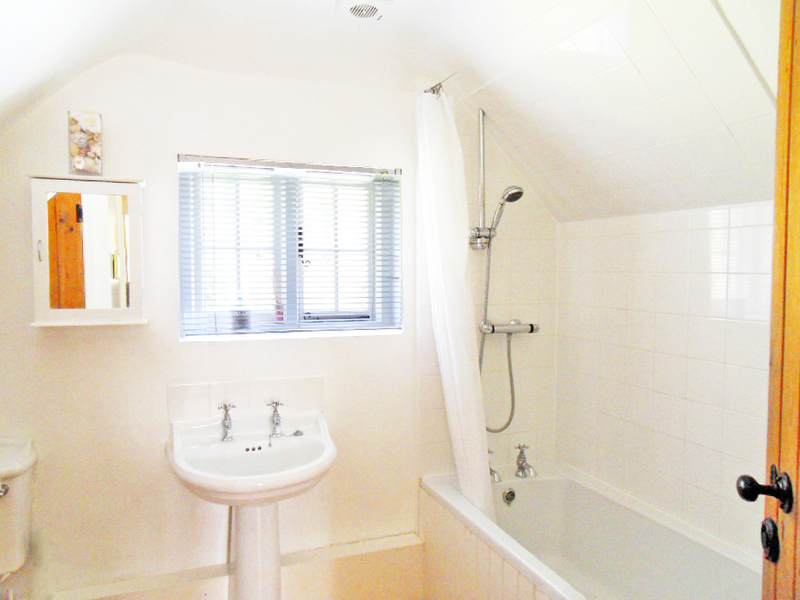 The family bathroom is on this level and offers a bath with shower over, w/c and basin. This part of Throwley is set as a designated area of outstanding natural beauty. It is set high up in the rolling North Downs of central Kent. 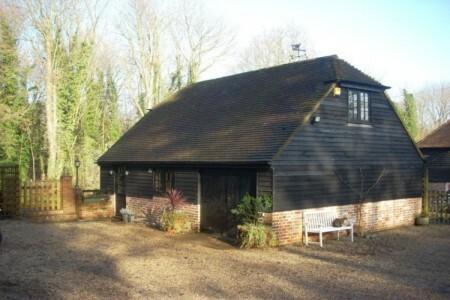 Hike or cycle the famous Pilgrims Way and the Faversham Golf Club is just half a mile away. The historic town of Faversham is a 10 minute drive with several supermarkets, a range of shops, traditional cinema, restaurants and cafes. 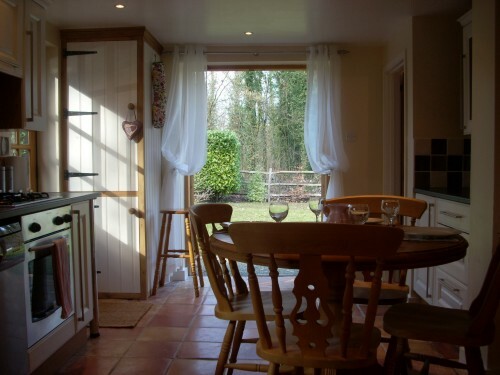 Two local places of interest for Foodies are Macknade Fine Foods, a high quality farm shop and cafe and the Brogdale national fruit collection which also has food and craft shops, a restaurant and cafe. 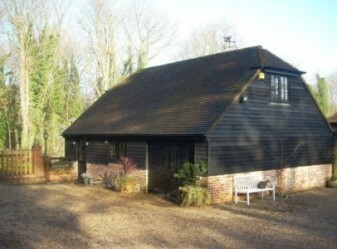 Whilst Primrose Cottage is hidden away in an idyllic rural location, it also has easy access to the M2 and thence to London and international airports, or in the other direction, to the medieval Cathedral City of Canterbury, to Ashford and its high speed rail link to London, the Thanet sea-front towns of Whitstable, Margate and Ramsgate as well as the Port of Dover for day trips to France. GOLF course, within easy walking distance.